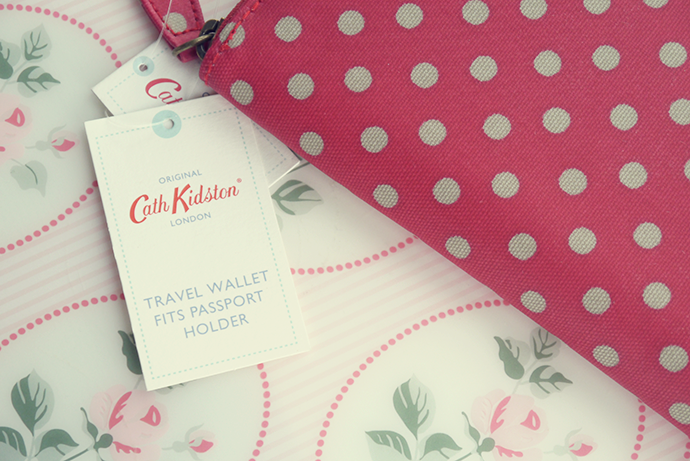 Cath Kidston sent me this gorgeous and super handy travel wallet for me to use on my trip to Spain this Friday! 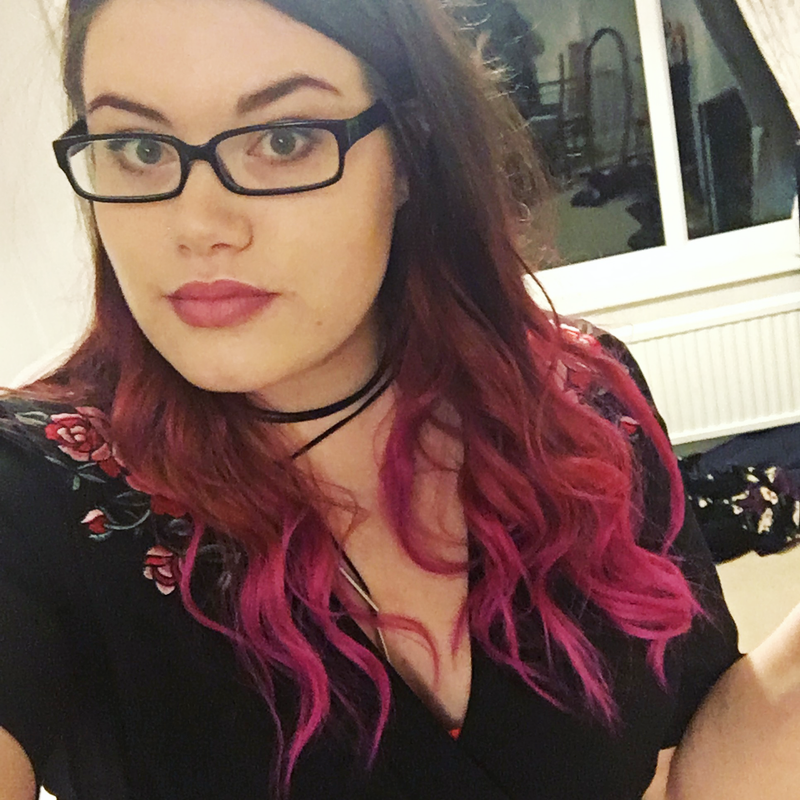 It comes in a few different designs but this one matched my suitcase! It's £38 which you may think is a bit steep, but for a super durable incredibly handy little wallet, it's worth it. 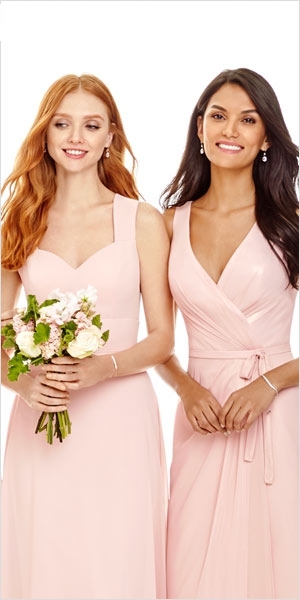 The front is just patterned but the back has a slip pocket, a zip pocket (for change etc) and the option to clip on a strap that turns it from a plain wallet to a shoulder bag so you can wear it and keep it close to your body. 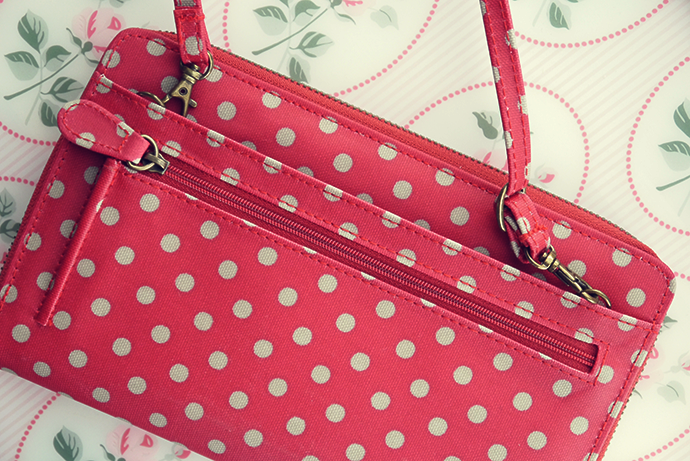 You can also change the length of the strap depending on where you want it to come to. The size of this bad boy is 22 x 13 cm! 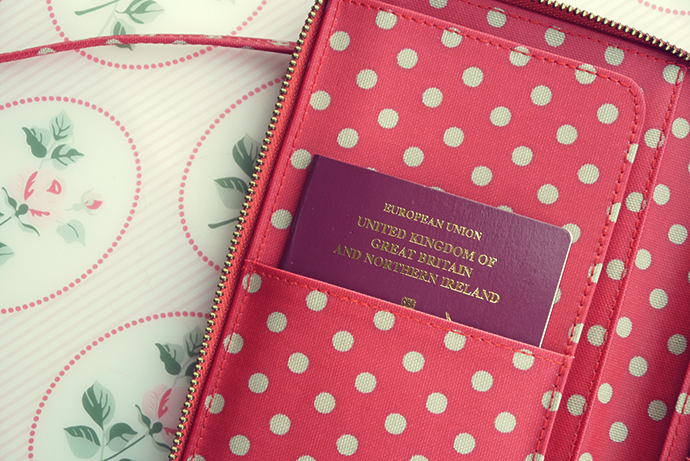 The inside is ridiculously spacious with slots for your passport, cards, boarding passes, hotel documents, etc. Everything you need to hand in one place so that you aren't rummaging around bags to find everything. 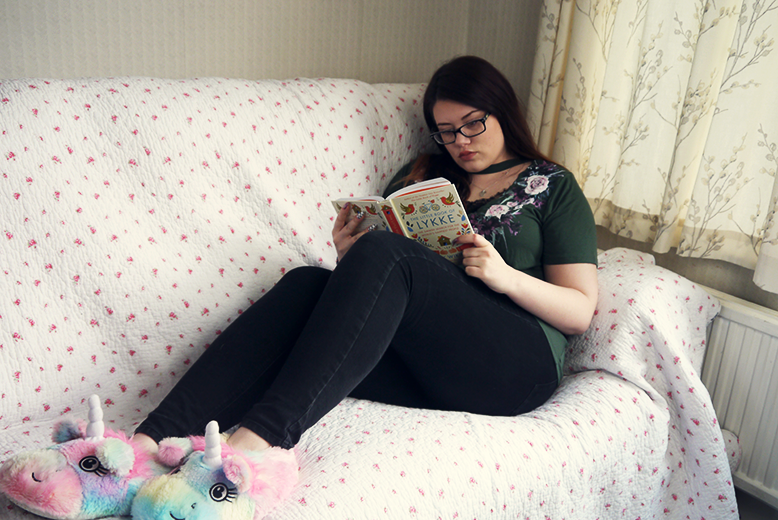 It's made of 100% PVC coated cotton with a matt finish to keep it safe from spills and easy to clean! 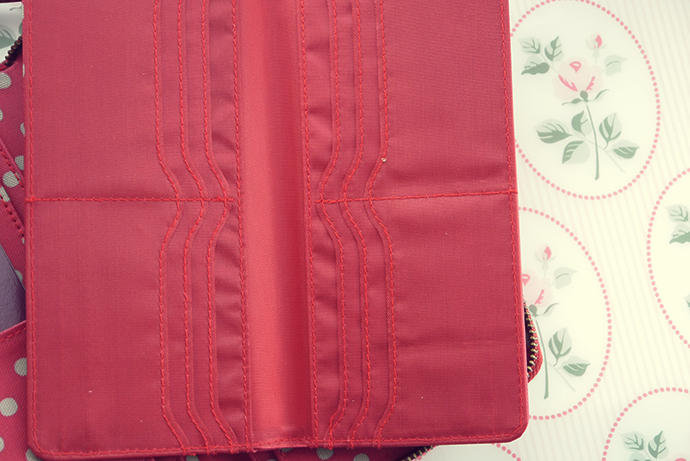 The inside is also PVC coated and it has leather trims. 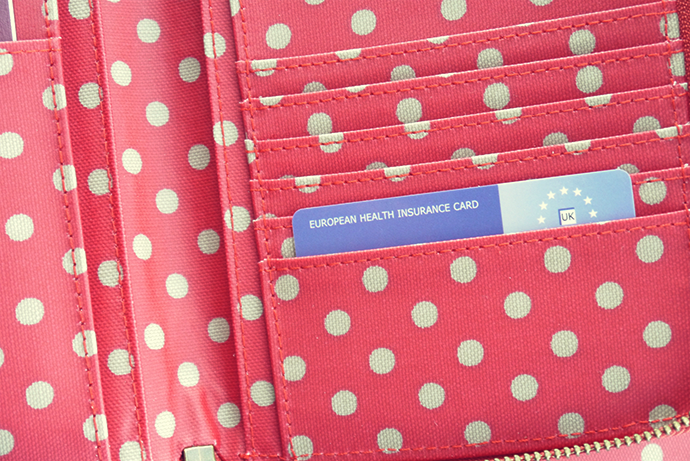 Gotta have your EU Health Insurance Card!! 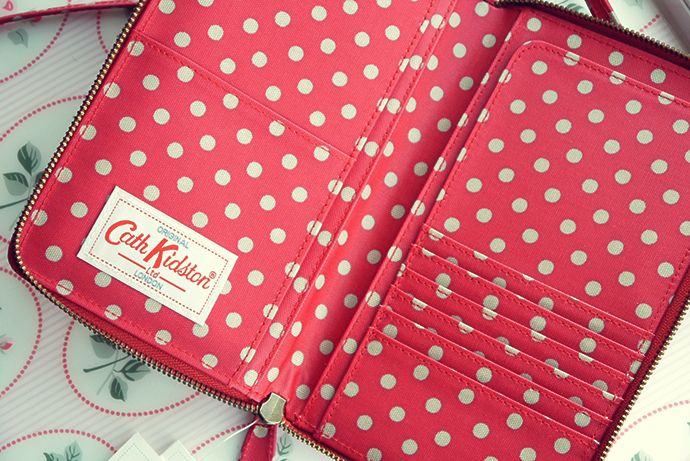 This little extra wallet is full of space for cards and means you can keep all your regular cards and anything else you need to take with you safe and tucked away, you could fold notes up to keep in there. There is a really beautiful bird patterned travel wallet by CK that is a little smaller and is only £18, so definitely check that out if you want something a little smaller and more affordable (buy here) If you would like to see all the travel wallets that CK do or want to purchase this one, click here. 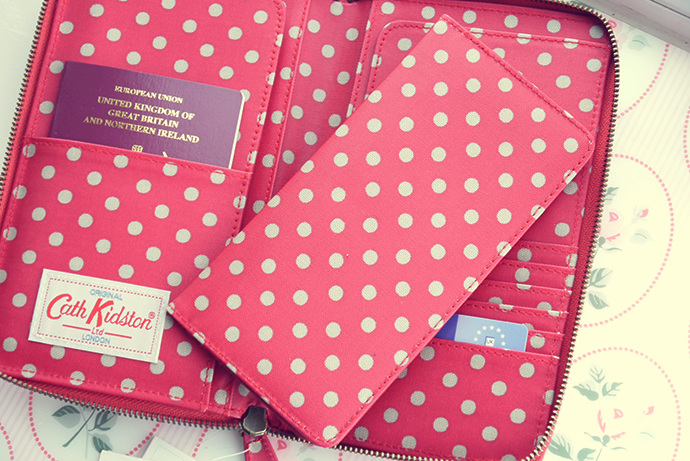 Do you own a travel wallet? Is this something that you would be interested in using to travel? 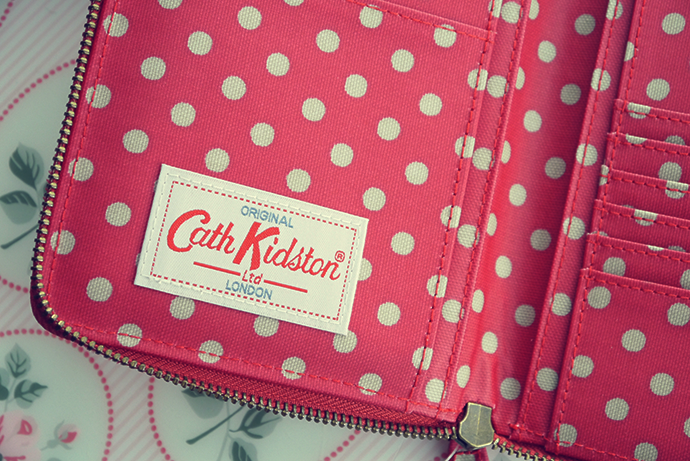 This wallet is just gorgeous and Cath Kidston designs and prints are always so cute! do you have any pictures of the matching suitcase? I'd love to see it!